Free sizing for the first 3 steps. Knowing your exact ring size is important and that too while purchasing online. 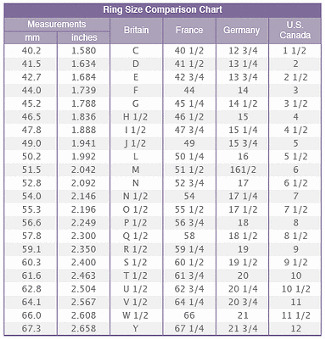 Measuring your ring size properly is more important. 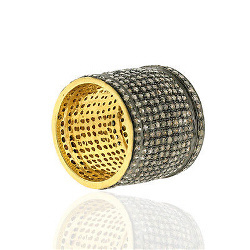 It matters when the Ring is specially made for Engagement or Wedding, a special occasion that occurs once in lifetime. The ring size something that cannot be made as per guess or neither it is something that can be consider fixable at later dates. Check your ring size twice before ordering, not too tight, not too loose. 1. 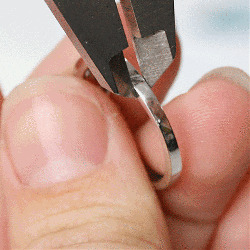 Use string or paper strip to measure ring size. Wrap it round the finger whose size is required/ preferred. (Take two sizes of the finger one at the bottom and other on knuckle. 2. Mark one with Red colored pen and other with green to the strip. 3. If green colored size is much bigger than red, choose the green one. Measure that mark with ruler in mm or cm. This will be your ring size. Did you have noticed that the Wide bands require a bigger size than other rings? The narrower rings can be adjusted to the finger size and can provide enough space to the finger to adjust but wider rings do not. Always give slight bigger size while ordering the rings specially the wider bands. There are some circumstances when rings can be resized. This can be possible only when there is size difference in decimals like from 6 to 6.5 and so not like from 6 to 8. Most of the rings can be re-sized by professional jewelers. Increasing the size requires gentle hammering around the shaft. Due to this, the shank will get thinner slightly. At the same time, there are some kind of rings which cannot be re-sized like Gemstone Bands, Polki( Rosecut Diamond Band). These have to be made completely new.